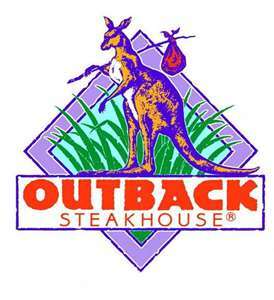 Linda's Angels: 4 - Hour Flash Giveaway - $15.00 Outback Steakhouse Gift Card!!! 4 - Hour Flash Giveaway - $15.00 Outback Steakhouse Gift Card!!! $15 Outback Steakhouse Gift Card 4-Hour FLASH Giveaway!!! It's Restaurant Week here at Show Me the Money! Come back ALL this week for more GREAT Restaurant Gift Cards! A few AWESOME Bloggers have teamed up to give you this wonderful $15 Outback Steakhouse Gift Card! 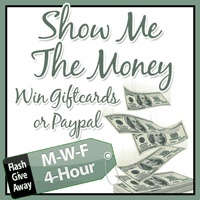 We believe in quick, small, and easy giveaways! Our giveaways only have a FEW entries to fill out and you will know if you WIN in just a couple of hours! WHAT FUN! Good luck on tonight's giveaway! See you back on Friday for another great FLASH giveaway! *NOTE: You can choose an Amazon GC or PayPal CASH in substitution of the Outback GC. 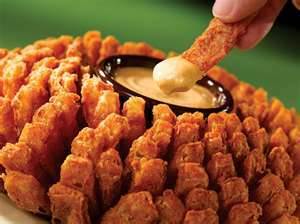 I'm a big fan of the blooming onion! The Cheese Fries are my favorite!! The steaks are my favorite!!! I like the Onion that flower's, lol!